From Uber to Airbnb to rentable power tools, there are plenty of ways to receive the benefit of certain products and services — without buying those products and services. That’s because we now live in a “sharing economy” where customers can pay for access instead of ownership. There are many advantages of this newer economic model. Consumers don’t have to spend as much money to get what they need. For example, a power drill might cost you $100. But you don’t really want the drill; you want the hole(s) that this drill creates. So, rather than buy the power tool, it’s cheaper and easier to rent it. Consumers have access to the latest and greatest. You’re no longer limited to that power drill you received 10 birthdays ago. Instead, you can rent the most recent model available, complete with newer and better features. The sharing economy is also better for the environment since there is less material waste and unused capacity. The average power drill gets used for only 12 minutes throughout its entire lifetime. The rest of that time, it sits idle. However, sharing this tool allows us to collectively maximize the benefit so the drill gets used 12,000 minutes before it needs replacing. What if you’re a merchant who sells physical products? Won’t the sharing economy eventually kill your business as consumers opt for cheaper, rentable alternatives? At first glance, it looks pretty bad. Overall demand for first-time purchases will likely shrink for any products that customers can share communally. Worse still, you’ll have a much harder time competing on quality and selection since customers enjoy limitless access to newer, better models at any given time. If you sell physical goods in a sharing economy, there isn’t much to celebrate. But believe it or not, there are plenty of opportunities to continue growing your business — even if traditional sales start to plummet. Below are just a handful of strategies for surviving (and thriving in) the new sharing economy. The average power drill doesn’t get used very often. Thus, it doesn’t break down very often. But when tools, cars and summer homes become rentable and shareable, the amount of wear and tear rises exponentially. This creates a golden opportunity for those businesses that know how to repair and maintain these communal items. Your specialty doesn’t even need to be in repairs. You could also concentrate on value-added services that make these shared items more useful. For example, offering DIY workshops could help distinguish your business from other hardware stores in the neighborhood. Given that millennials increasingly prefer paying for experiences over stuff, this strategy could pay off huge in the long run. There are probably a lot of recent college graduates who would love to enter the real world with some basic carpentry skills under their belts. 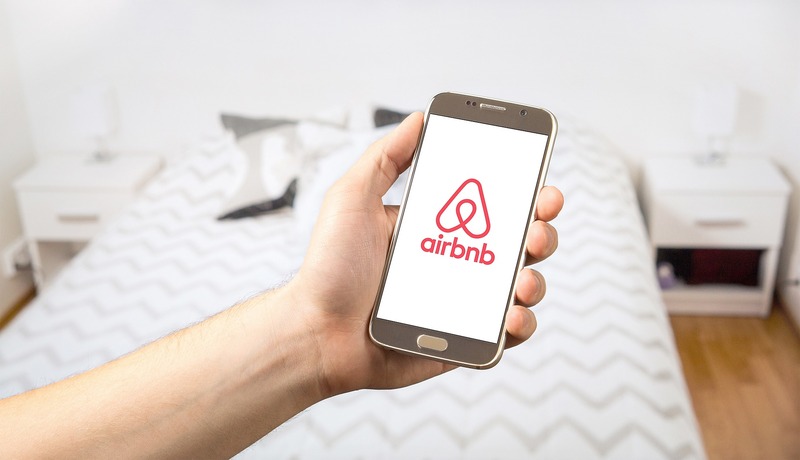 Another strategy involves joining the sharing economy as a lessor. You should, of course, keep a few power drills in stock for actual sales — but consider making some of these tools available for short-term loans. Customers typically pay more for services than they do for goods. The moment you begin renting products, you become a service provider. If a standard power drill retails for $100, you’d need to rent that drill five times at $20 to break even. But there’s nothing to stop you from renting the drill 10, 20 or even 100 times. Renting allows you to capture a larger potential market. In a country where 50 percent of Americans live paycheck to paycheck, many would-be customers are priced out if they have to buy your products. Those people could afford to rent your products if the price is right. Inventory isn’t the only thing you can rent. You could transform unproductive assets into moneymakers as well. If your office is empty during evenings and weekends, for example, you could rent this space to local businesses, community organizations and other interested parties. The point is, any slack capacity in your operations represents another opportunity to generate income. You can even rent employees if they’re in between projects and don’t have any demanding tasks. Many business owners view the sharing economy with doom and gloom. Maybe you do, too. After all, how can you possibly compete with the pricing, selection and convenience on offer? But remember that you’re not simply a competitor of the sharing economy. You’re also a customer. This means you can take advantage of superior pricing, selection and convenience. Do you really need dedicated office space for your business? If not, consider renting a temporary suite on a project-by-project basis. Does it make sense to keep a full-time accountant on staff? Thanks to virtual assistants and outsourcing, it’s possible to rent everything from CPAs to secretaries to chief executive officers. Is having a dedicated fleet essential to your operations? You may be better off using flex cars and couriers to make deliveries in the future. While it’s true that the sharing economy may chip away at some of your traditional sales, it can also help you reduce (or eliminate) many of your traditional expenses as well. For additional tips on how to streamline your business, contact our merchant services team today.